Every year, United Nations Day is celebrated on October 24. On this day in 1945, the United Nations (UN) came into force when the five permanent members of the Security Council ratified its charter This followed a declaration by the UN General Assembly in 1947 which designated 24th of October as United Nations Day, by proclaiming that the day would be instrumental in making people aware of the aims and achievements of the United Nations and to gain their support for its work. Since its creation, Pakistan has played a significant role as UN member, in bringing peace through active diplomatic, moral and material support in various regions of the world. Therefore, this very day also reminds Pakistan’s Army’s role in UN peacekeeping measures, during war and peacetime. Pakistan’s Army is considered the best-organized institution and is highly respected in the country, as since the founding of Pakistan, its military has played a key role in holding the state together, promoting a feeling of nationhood and providing a bastion of selfless service. Today, Pakistan’s position as one of the largest troop-contributing country in the world with one of the highest peacekeepers’ casualty figure is a testimony to its commitment and endeavours towards promoting the noble cause of global peace. It is not easy to achieve peace in world’s conflict-ridden areas. But Pakistan Army’s history is replete with sacrifices, services to humanity and promoting collective security for human prosperity. In this regard, Pakistan is a big player in UN peacekeeping forces. Pakistan joined the United Nations on September 30, 1947. Since 1960, it has been actively involved in most of the UN peacekeeping missions. Major contributions of Pakistan Army are in Congo, Liberia Somalia, Ivory Coast, Western Sahara, Sierra Leone, Bosnia, Kosovo, Georgia, East Timor Haiti etc. Even, at present, more than 8200 troops of Pakistan Army are engaged in different peacekeeping missions across various volatile countries. The performance of Pakistani peacekeepers has been recognized worldwide by several world leaders including those of the UN. An undeniable professional standing of Pakistani forces has made them the passion of every special representative of Secretary-General and Force Commander in each of UN peacekeeping operations. In this respect, Pakistan’s dedication towards UN has been acknowledged by UN Secretary-General Ban Ki-Moon who himself visited Pakistan and inaugurated the Center for International Peace and Stability (CIPS) on 13 August 2013 and praised Pakistan’s efforts in UN peacekeeping missions. 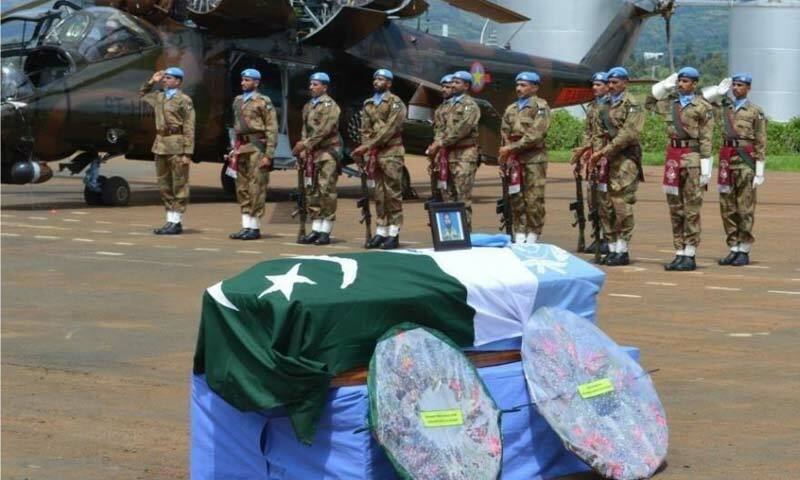 However, Pakistan has participated in 41 UN missions in 23 states where a total 142,542 Pakistani personnel engaged, taking the start from UN Congo Operation in 1960. Pakistan Army delivered its services there and contributed in ordnance, transport, and staff. It is still present in Congo and provided a Battalion Group comprising one infantry battalion and supporting elements. Besides, Pakistan’s contribution was in United Nations Yemen Observer Mission (UNYOM) as a military observer from January to September 1964. Yemen entered into a state of civil war in 1962. To ensure that this conflict did not escalate into a global incident, the UN set up its Yemen Observation Mission. And, United Nations Transition Assistance Group in Namibia (UNTAG) was established to assist the special representative of the UN Secretary-General to ensure the early independence of Namibia through free and fair elections, and to carry out a number of other duties. For the purpose, 20 military observers from Pak Army performed their duties from April 1, 1989, to March 21, 1990, in Namibia. Notably, Pakistan Army played a positive role in the Middle East and was on the forefront for peace restoration. United Nations Iraq-Kuwait Observer Mission (UNIKOM) was set up in April 1991, following the forced withdrawal of Iraqi forces from Kuwait. Its task was to monitor the demilitarized zone along the Iraq-Kuwait border and deter border violations. Pakistani forces which helped to continue their services there from April 1991 to 2003 were assigned the most difficult area in the north of Kuwait city—reclamation of Bubiyan Island was also entrusted to them. 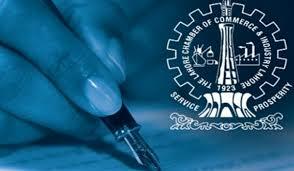 The operation was carried out by a task force of Pakistan Army Engineers. The professionalism and dedication displayed by this force were praised at international level. While, inside the United Nations Transitional Authority in Cambodia (UNTAC), the Pakistan’s military forces carried out peacekeeping operations in the most thorny and remote areas during the period-May 1992 to August 1993. They overcame enormous logistic and operational problems and proved their courage and determination by defending themselves and those for whom they were sent. Coping with the odds, they handled crisis after crisis and persuaded the warring factions to lay down their arms. And on the request of the UN in Latin America under the United Nations Mission in Haiti (UNMIH), Pakistan provided one infantry battalion, ‘PAKBAT’ which arrived in Haiti in March 1995 and was deployed in Cape Haitien—the area faced extremely volatile security situation and was also the hotbed of political agitation. ‘PAKBAT’ discharged its duties with an extensive patrolling program, covering various regions there. Nevertheless, Pakistan’s Army has worked in difficult terrains and situations for the global peace. Now, inside the country, although Pakistan Armed Forces are facing a tough situation in wake of war against terrorism, yet they are contributing to global peace and prosperity; having still a large number of their presence in various parts of the world. Now, the major powers must abandon their false propaganda against Pakistan and its Armed Forces, as the latter did more in a response to international demand for world peace. Nonetheless, in pursuance of Pakistan Army’s unwavering commitment towards international peace, 130 Pakistani soldiers have sacrificed their lives. In this connection, Pakistan’s Army positive role in the UN peacekeeping measures reflects Pakistan’s desire to see the principles of human dignity, freedom, and self-determination.